Increased diversity of the intestinal microbiome has been significantly associated with lower mortality after hematopoietic stem cell transplant (HSCT). Probiotics, such as Lactobacillus species with defined probiotic potential, may have beneficial properties including restoration of commensal species to the intestinal tract, anti-microbial effects, and healing of the intestinal mucosa. However, the use of probiotics in immune-compromised patients raises concerns, specifically regarding the risk for possible Lactobacillus bacteremia. Risk of bacteremia is an even greater concern in HSCT patients with breakdown of mucosal barriers, specifically patients with Clostridium difficile infection (CDI) or gastrointestinal graft-versus-host disease (GVHD). Minimal data have been reported on the safety of probiotics in these high-risk HSCT populations. We performed a retrospective study of allogeneic HSCT recipients at our institution between 2011 and 2016, and identified 14 patients (median age 7 years) prescribed probiotics, 10 of whom received probiotics prior to day 100 after HSCT. Eight of ten patients were diagnosed with acute GVHD, four of whom (40%) specifically had acute GVHD involving the gastrointestinal tract. Five patients (50%) on probiotics prior to day 100 were diagnosed with CDI (median onset at day 13 post-transplant). There were no cases of Lactobacillus bacteremia, including in patients with GVHD or CDI. This small case series supports the safe use of probiotics in a high-risk population of pediatric HSCT patients with compromised intestinal mucosal integrity. Further studies are needed to determine if probiotics have benefit in preventing and treating gastrointestinal GVHD or CDI. To view enhanced digital features for this article go to https://doi.org/10.6084/m9.figshare.7946723. The intestinal microbiome has critical functions in maintaining the immunological barrier of the gastrointestinal (GI) tract. Alterations in intestinal diversity result in pathogen colonization, mucosal invasion, and changes in systemic immune function. Probiotics are nutritional supplements that contain microorganisms with ostensible benefits in helping to restore GI flora. Patients undergoing hematopoietic stem cell transplant (HSCT) have significant insults to their GI tract, including chemotherapy-induced mucositis, GI graft-versus-host disease (GVHD), Clostridium difficile infection (CDI), and immune suppression. These insults can perturb microbial diversity, impair mucosal integrity, and alter mucosal immune barriers, contributing to bacteremia and other complications post-HSCT. Decreased diversity of the intestinal microbiome has been identified as an independent risk factor for increased mortality after HSCT . Administration of probiotics, such as Lactobacillus species with defined probiotic potential, restores commensal flora to the intestinal tract and has been shown to promote regrowth of beneficial species, thereby improving diversity of the intestinal microbiome . Lactobacillus species have also been shown to have anti-inflammatory effects and to restore integrity of the intestinal epithelial lining in vitro [3, 4]. Based on these properties, it has been postulated that probiotics could benefit patients after HSCT by minimizing infection, promoting mucosal healing, and preventing GVHD. However, the use of probiotics in immune-compromised patients raises concerns for possible risk of Lactobacillus bacteremia due to bacterial translocation . A recent report demonstrated the safety and feasibility of administering Lactobacillus plantarum in pediatric patients undergoing HSCT. However, this study only prescribed probiotics through the first 14 days post-transplant . In contrast, Cohen et al. found that the highest incidence rate of Lactobacillus bacteremia was in the first 100 days following HSCT, likely due to peak immunosuppression and mucosal disruption . After HSCT, GVHD or GI tract infections due to pathogens, such as C. difficile, may alter mucosal barriers and affect the safety of probiotic use. These previous studies did not address the safety of probiotics in such high-risk post-HSCT populations. We reviewed our institutional experience using probiotics in a cohort of pediatric patients with GVHD and CDI post-HSCT. Our aim was to determine the safety of probiotic use, specifically the incidence of probiotic-associated bacteremia, in pediatric HSCT recipients with significant insults to their intestinal mucosa. We performed a single-center retrospective study of pediatric allogeneic HSCT recipients between 2011 and 2016. All patients prescribed probiotics (Lactobacillus rhamnosus GG) were included in the retrospective review (Table 1). Doses varied from one capsule or packet daily to two packets four times daily. All doses of probiotics were administered orally. Electronic medical records were reviewed to determine preparative and immunosuppressive medication regimens, occurrences of acute GVHD (within 100 days of transplant), documented bloodstream infections, and documented GI infections, including CDI. All procedures performed in studies involving human participants were in accordance with the ethical standards of the Washington University in St. Louis Institutional Review Board (IRB# 201705120) and with the 1964 Helsinki declaration and its later amendments or comparable ethical standards. The need for informed consent was waived due to the retrospective nature and the minimal risk of the study. During the study period, probiotics were prescribed in 15 patients and a total of 16 transplants (1 patient was transplanted twice and received probiotics during both post-transplant periods). One patient was lost to follow-up prior to day 100 and was therefore not included in subsequent analysis. Indications for transplant included both malignant (n = 7) and non-malignant (n = 7) disorders. A majority of patients (60%) received myeloablative conditioning, and most transplants (60%) were performed using mismatched, unrelated donors (Table 1). The median time for initiating probiotics was 60 days post-transplant (range 38 days prior to transplant to 251 days after; Table 2). Probiotic prescriptions were written for an average of 32 days (range 2–203 days). Ten patients were started on probiotics prior to day 100. Of these, eight patients (80%) were diagnosed with acute GVHD prior to day 100 of whom four had acute GI GVHD (Table 3). Probiotics were administered after the diagnosis of acute GI GVHD in two of four patients. Of the ten patients started on probiotics prior to day 100, five (50%) were diagnosed with CDI prior to day 100 (Table 3). The median time to identification of C. difficile in these patients was 13 days post-HSCT (range days 3–55). Two patients (20%) had both acute GI GVHD and C. difficile colitis. Probiotics were administered after the diagnosis of CDI in four of five patients. One patient was diagnosed with CDI after day 100. Of the five patients with CDI diagnosed prior to day 100 who were also started on probiotics prior to day 100, three received oral courses of metronidazole for 10 days, one received oral vancomycin for 10 days, and one received both oral metronidazole and vancomycin (20 days total). All patients had resolution of CDI based on symptoms and stool toxin assays. Bloodstream infections were documented in five patients during the first 100 days post-transplant (Table 2). Organisms included Streptococcus oralis, Staphylococcus epidermidis, Staphylococcus aureus (MSSA), Escherichia coli, and Enterobacter cloacae. None of these infections occurred while the patients were on probiotics. No cases of bacteremia with Lactobacillus species were identified in any patients on probiotics, including those started after day 100. There were no adverse events in this cohort attributed to probiotic use. 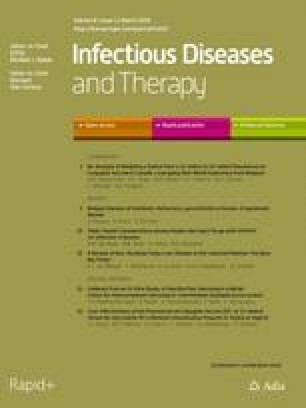 Probiotic supplementation has been reported to have potential benefits in the treatment and prevention of CDI, antibiotic-associated diarrhea and inflammatory bowel disease [8, 9, 10]. These findings raise the question of whether probiotics may also be beneficial in patients undergoing HSCT who suffer from significant GI complications. Indeed, increasing evidence supports a role for dysregulation of the intestinal microbiome in development of complications after HSCT [11, 12, 13]. In mouse models, Lactobacillus supplementation prior to HSCT decreases the severity and the lethality of GVHD [14, 15]. Whether probiotic administration could have similar benefits in pediatric HSCT patients has not been investigated. An impediment to these studies is concern for possible probiotic-associated bacteremia given the immunocompromised state of these patients. In this study, we report on the use of probiotics in a high-risk population of pediatric patients post-HSCT. Although probiotics have been previously reported as safe in the setting of HSCT, these studies have not clearly addressed whether probiotics can be used safely in patients with compromised GI mucosal barriers, which can occur with CDI or GI GVHD. In a prospective study, Ladas et al. reported no Lactobacillus bacteremia in pediatric patients administered Lactobacillus plantarum during conditioning and post-transplant neutropenic period (day − 8 through day + 14). They report a 20% incidence of CDI by day 28 and a 23% incidence of GVHD by day 100 . However, it is not evident whether either of these clinical states were present during the period of probiotic therapy. A retrospective report by Cohen et al. identified infrequent occurrence (0.5% incidence) of bloodstream infections with probiotic organisms in a large population of post-HSCT patients . Due to the retrospective study design, it was not possible to determine whether the patients with positive blood cultures were on probiotics or had concomitant CDI or GI GVHD. In our study, 70% of patients started on probiotics prior to day 100 developed CDI, GI GVHD or both by day 100. The higher rate of acute GVHD in this study likely reflects a bias for initiation of probiotics in patients who developed GVHD or had GI infections. Indeed, in all but one case, probiotics were initiated subsequent to the first CDI (Table 3). This may represent an attempt to modulate the intestinal microbiome when patients are most susceptible to infection due to immune suppression and disruption of the intestinal lining. Despite the altered GI microbiome and decreased mucosal integrity associated with CDI and GI GVHD, no patients developed bloodstream infections with Lactobacillus or other probiotic organisms. Our single-center study is limited by the small patient population and the retrospective nature of the analysis. Despite these limitations, the absence of complications attributed to the probiotics is consistent with previous reports. Our data contribute to the growing body of literature supporting the safety of probiotic use in high-risk pediatric patients with GI infections and GI GVHD during the post-HSCT period. Ongoing and future clinical trials will inform whether use of probiotics reduces the incidence or severity of GI GVHD or CDI and confirm the safety of this practice. The authors acknowledge the clinical staff, patients, and families at St. Louis Children’s Hospital. Arhanti Sadanand, Jason Newland, and Jeffrey Bednarski have nothing to disclose. Jason Newland is a member of the journal’s Editorial Board. All procedures performed in studies involving human participants were in accordance with the ethical standards of the Washington University in St. Louis Institutional Review Board (IRB# 201705120) and with the 1964 Helsinki declaration and its later amendments or comparable ethical standards. The need for informed consent was waived due to the retrospective nature and the minimal risk of the study.